When you find something you love doing while earning a living then simply continue doing it. 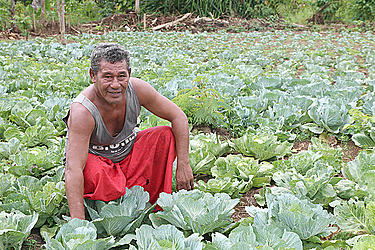 For Tanielu Pati, from the village of Leauvaa-Uta, he has found much joy in growing cabbages to earn a little bit of money for his family. 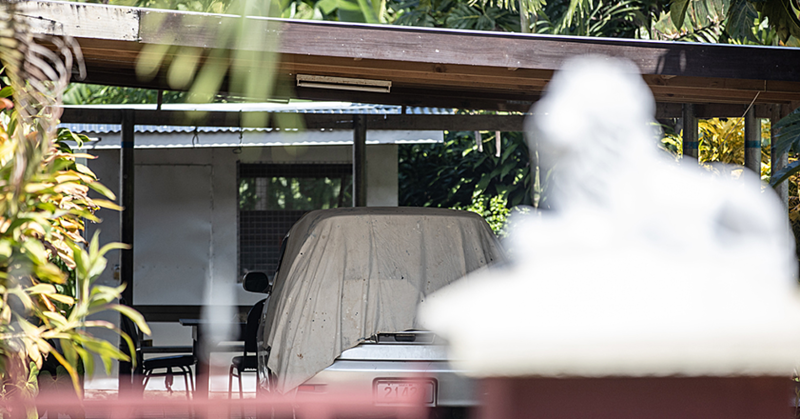 Aged 57, Tanielu was spotted at his house in Leauvaa-Uta tending to his cabbage patch. “I have been able to grow many different types of vegetables right throughout my life. As you can see the cabbages are starting to get mature. “That patch of dirt is clear because I just finished harvesting that section and now I’m just cleaning up that piece of land to grow some more. “Right now I am just filling up the barrels over there which is my irrigation system. It waters the cabbages for me. “I just started growing again in May,” he said. “I measure my work with the times when the prices are the best in the market. When the time is right I would take my cabbages and sell them at $20 each and I would get around $1,000 in a week. “Some months then the price would drop to only $5 each and if I take 100 cabbages then I would make about $500 in a week. But what got the cabbage farmer into growing that particular type of cabbage? “My son who currently lives in Aleisa stays with a family who grows cabbages,” he said. “He then came back here to start our own cabbage plantation this year and after we started he left for New Zealand and I continued the work by myself. “This is because if the Chinese cabbage doesn’t grow properly then it will be small and you will need ten to make a bundle. “Round cabbages on the other hand, you just need one and you can sell it like that. Many people in Apia buy the cabbages from me. 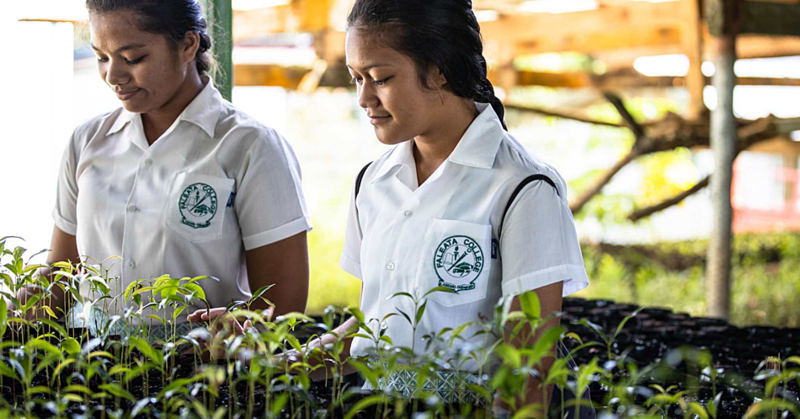 Tanielu’s message to the other farmers of Samoa is simple, find your passion. “My message to other farmers out there is that God blessed us all with different talents,” he said. “Some people are good with growing cucumbers and others grow cabbages. Some may have trouble with one crop so the best thing to do is change it around and don’t waste your time.